What if Jesus never called us to a white picket fence, 2.4 kids and a boring job? What if He's inviting us instead into something more daring, more profound, and more revolutionary than the status quo? Would that be a life worth living? Subversive Jesus is the story of an experiment in putting the most subversive teachings of Jesus into practice. From subversive parenting to subversive charity, subversive hospitality to subversive citizenship and more - Jesus wants to turn our lifeless, old conventional wisdom upside-down. Walk with our family as He leads us to the margins: initiating the Pirates of Justice flash mobs, sharing our home with detoxing crack-heads, welcoming homeless panhandlers and prostituted women to the dinner table, and ultimately sparking a movement to reach the world’s most vulnerable children. This book is an invitation to say 'Yes' to Jesus and then do something courageous with your life. This book is about rediscovering an ancient way of doing mission in the 21st century, as insiders who walk alongside the poor, and a new way of caring for orphans, by working with people rather than for them. It is also a powerful critique of orphanages as a way of caring for vulnerable children. This is the story of our first six years living in a slum community in Asia and the exciting new paradigm in orphan-care that was birthed and now reaches hundreds of at risk children. This month I'm giving The Urban Halo away free for new subscribers to my blog. It usually costs between $9.99 and $68 on Amazon. Get your copy here. Throughout history, young people have been on the forefront of every significant movement for change. Now, new technology is allowing us to connect with each other and get organized in ways we’ve never seen. The global church faces an unprecedented opportunity. The Alongsiders movement began with the simple yet powerful vision of mobilizing young Christians to walk alongside those who walk alone - reaching out and discipling vulnerable children, who they call “little brothers” and “little sisters” in their own communities. This fast-growing discipleship movement started in Asia and spread to Africa, the Middle East and beyond, and is now changing the lives of thousands of children, youth, and their families around the world. 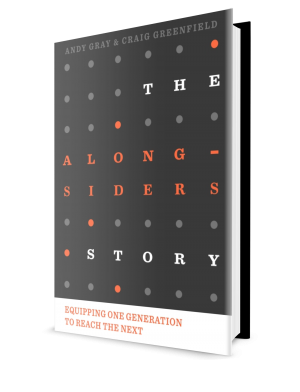 This book introduces the Alongsiders strategy in practical detail, including the history and vision, principles and practices, lessons learned, and mistakes made along the way. It is written to inspire anyone who wants to see young Christians reach their full potential as disciple-makers, and to provide practical knowledge for those who mobilize and train Alongsiders. In Living Mission, I and other mission leaders write about a new movement afoot, one that goes against the prevailing Western missions model, influenced by the values and principles of international commerce. Presented here are five "signs of life," showcased by this network of movements best referred to as "new friars." This seminal book, edited by Scott Bessenecker, paints a picture of mission that is new only because it has been neglected for so long, a mission that is truly good news to the people in its path.